We are showcasing Pinball Machines, Arcade games, coin-ops and all the cool things you need to complete your gameroom including neon signs, gas pumps, and more. 2:00 PM Thursday – 10:00 PM Thursday. 1:00 PM Friday – 10:00 PM Friday. 9:00 AM Saturday – 6:00 PM Saturday. The third major pinball event in Munich since those in 2003 & 2006. Registration for the GPO starts from the end of February. 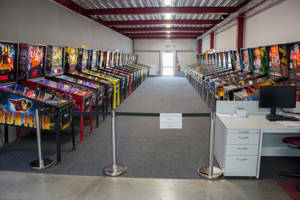 Our facility is the one of the largest dedicated pinball venues (by unique game count) in North America and has games from the 1950s “woodrails” to the latest games from Stern pinball. Every decade, manufacturer and game type is represented at the museum. There are many rare and hard to find games set up and ready to play. All machines are free play, so one entrance ticket allows unlimited play for the day. There’s something for every pinball fan here (we are the one of the largest dedicated pinball facility in North America.) But unlike other pinball museum type facilities, we are here every day working on our machines, making sure they play perfect! Arguably this makes us the best working/restored pinball collection in North America. Tickets for the showcase will be available in advance only. We want to ensure that all attendees have the absolute best possible experience and have plenty of room to mingle and experience and play the pinball machines. To do this we have a limited number of tickets available for each day. Once the limit is reached, we are sold out, and no more tickets will be issued. Hence generally speaking there will not be tickets available at the door. Pinfest will take place at the Agri-plex Expo Center of the Allentown Fair Grounds. The indoor and outdoor flea market is also planned for this year. Free Play Space available for pinball machines is approximately 250 units. Indoor vendor space is approximately 10’x 10’. Indoor Flea Market space is approximately space is 20’x 15′. An on-location snack bar that will provide a typical selection. Several specialty shops to browse and sit down dinning available within the fair grounds main section. lodging is available and discounts for this event may apply. We are inquiring and will provide details as they become available. 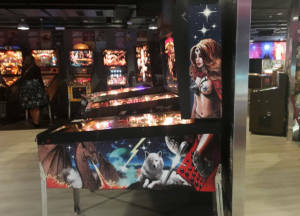 Play Expo returns to Manchester but at a new time and in a new location, featuring the Northern Lights Pinball Show with around 60 pinballs, competitions, prize raffles and much more. The UK’s favourite arcade, indie and retro games show will return in 2019! Close to 1000 consoles, handhelds, computers, arcades, pinballs and PCs all running the very best in classic and modern video games and all free to play! A weekend-long classic arcade and pinball party, with all of the games set to free play! The first ever Czech Pinball Open will be held at the Terra Technica museum in Kleinhaugsdorf, just across the Austrian border. 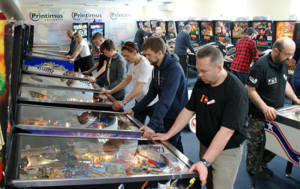 Around 200 pinballs and more than 600 jukeboxes are set up at Terra Technica, while a large shopping mall is next door. More details of the tournament will be available soon. This is the second year of the central California show from the Northern California Pinball Association, being held in Lodi near Sacramento. 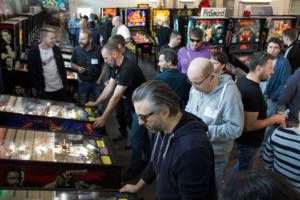 Along with all the games, the Pinball University (Pin-U) will hold talks designed to improve your pinball skills, from repairing to playing to learning how games are designed and the state of the pinball market today. There is also a Pin-Golf tournament designed for all skill levels to enjoy. See our comprehensive report from the 2018 show here. 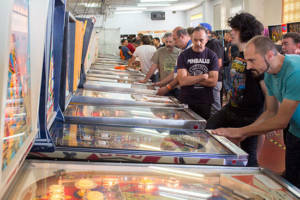 The eleventh edition of the Madrid pinball tournament. Preferential hotel rates being negotiated. The annual Polish Pinball Championship combines with the PSF Cup at this three-day event at the JJP Flipper Club in Bytom. It is like the comicon for pinball, retro console, classic arcade video! Gameroom exhibitors of all types of games, parts, and collectibles are under one roof at this once-a-year festival for you to play, buy and sell. If they are a major name in pinball and arcade gaming, they are here. Play all the games you want with admission. Interested in honing your pinball play and improving gaming skills? Want the industry low-down and to be an insider on innovations? We have that covered. Take a break from playing to join meetups and seminars hosted by industry insiders and celebrity guests — designers, modders, programmers, artists, and entrepreneurs galore. Note: New location and new dates. 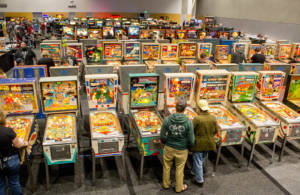 Around 400 pinball and video games fill the Greater Tacoma Convention and Trade Center’s hall along with multiple tournaments and a wide variety of vendors, while seminars take place in the lobby outside. See our reports from the past few years in the Shows section for a good overview. Note that the 2019 dates are a week earlier in the year than in the past couple of years, avoiding clashes with other US shows. The sixteenth edition of the IFPA World Championship will take place from 7th to 9th June 2019, for the first time ever in Italy. The event will be hosted in the Double Pinball showroom, in Assago, just outside Milan. 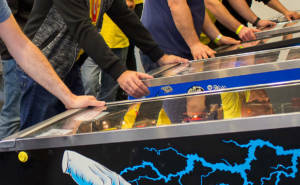 In the same week of the event and in the days before the Ifpa World Cup Italy and Double Pinball will organize a series of introductory tournament that will anticipate the maximum competition. For a week of sports pinball. Note: Entry is restricted to the top players in each country and is by invitation only. We will play the IFPA Pinball Olympics 2019 in Fulda. Four-and-a-half days of “playing competitive pinball”. This expo is 30,000 square feet of fun for the whole family. The kids can have never-ending excitement with a caricature artist, face painting, friendly clowns, balloon animals, yo yo and juggling show. The adults can bring out their inner child with over 200 pinball machines set on free play, all while enjoying an ice-cold craft beer. Well over 170 pinball machines set on free play! The mix is different each year, thanks to the dedicated hobbyists, operators, and game vendors who bring games to show off. Expect pinball machines that span a wide time range, and some non-pinball arcade games as well! Our headlining tournament, the Silverball Rumble℠, run by the Sanctum takes place in the back of the vendor hall. It’s an IFPA-endorsed event with unlimited PAPA-style qualifying. Entries are $10 each and qualifying begins at Noon on Friday. The top 24 get into elimination rounds to qualify for cash prizes (top 8) and trophies (top 3). Our Pingolf tournament run by Southern N.H. Pinball will be a more casual event, where you will be able to come and go starting Thursday evening. This tournament will take place in the Executive Room (the old VIP room across from the Seminar Theater), starting at 6:00 PM each day. Each night is a separate tournament. The room will be open Thursday evening, Friday and Saturday, including late hours. A small entry fee will be charged to build prize money. We encourage players of any skill level to try it out. Same location as the previous three years but dates have changed from usual mid-June due to hotel scheduling conflicts. Hotel rooms available for $129 per night. Book early as these usually sell out. Online registration is now open, but only for full three-day passes at the time of writing. The UK’s two premier tournaments will be held on Friday 19th, Saturday 20th & Sunday 21st July, 2019 at the country’s largest pinball club, Flip Out London in Croydon. Not only that, we are arranging two additional days of tournaments on the Wednesday and Thursday to produce a full five days of competitive pinball in the UK’s capital. – The first tournament will be held at Chief Coffee in Chiswick on Wednesday 17th July. The fun starts at Flip Out London on Thursday 18th July, where tyou will find around fifty pinballs. 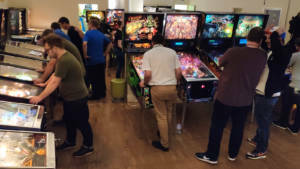 – Then on Thursday 18th July Flip Out London will host a tournament run by London Pinball which will run alongside the regular weekly Flip Out London League for a busy night of pinball fun. – Friday 19th July is the start of qualifying for the UK Pinball Open – the IFPA European Championship Series qualifying tournament – and the UK Pinball Classic. Qualifying will be in groups, with the first groups playing Friday evening. – The majority of the groups will play their qualifying in both tournaments on Saturday 20th July, after which the full list of qualifiers will be announced. 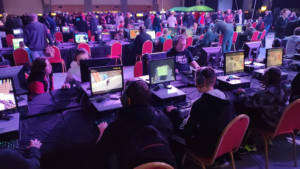 – Those qualifiers will then compete in the play-offs on Sunday 21st July, while an additional tournament will be run at Flip Out London for those who didn’t qualify or choose not to take part in the play-offs. There will be trophies for all tournaments, with cash prizes for the top players in the UK Pinball Open and Classic. The exact cash prizes depend on player numbers, but last year we gave away more than £1,300 (€1,520/$1,730) and paid out down to 16th places in both tournaments, so there’s plenty to play for. Featuring the Pinburgh Match-Play Championship with over $100,000 in total prizes and more than 700 pinball and arcade machines. 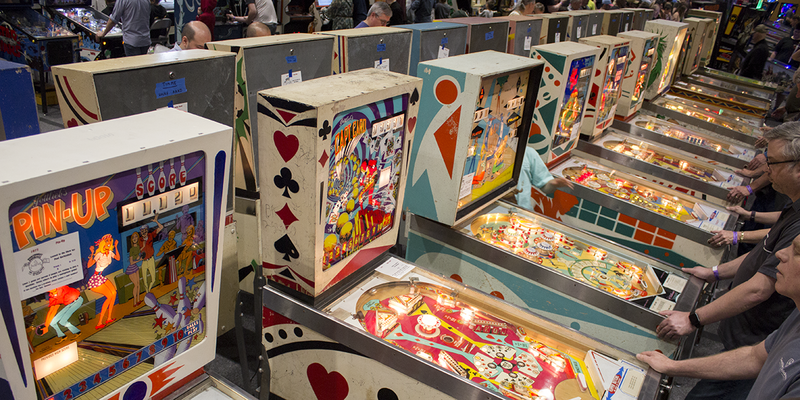 The World’s largest pinball tournament with close to 800 competitors. 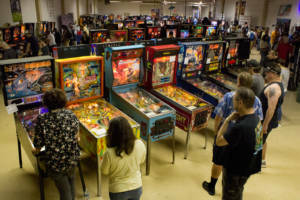 The show will feature approximately 50 pinball machines & arcade games from the past and present, all set on free play. For one admission price, you are welcome to stay all day and play as much as you like for no additional cost. Many of the games available to play will also be for sale. 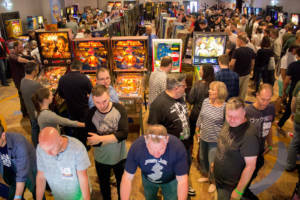 The UK’s national pinball show returns for a second year to the familiar surroundings of the Mercure Daventry Court Hotel. VIP-only sessions are held on Friday and Saturday evenings, and a tournament is also planned. This is the Spanish 2019 ECS qualifying tournament. Details of 2019 event coming soon, but dates are confirmed. 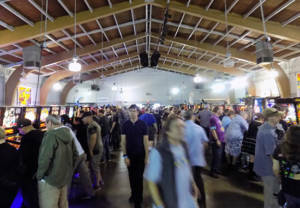 Our first annual Vancouver FlipOut Pinball Expo, held in September of 2016 was a fantastic success: Old school arcade classics and the latest cutting edge pinball technology; a local autistic pinball prodigy, competitive and amateur tournaments, the world’s largest pinball machine, and much more. 2017 proved to be an even bigger success and prompted our move to a larger venue for 2018! 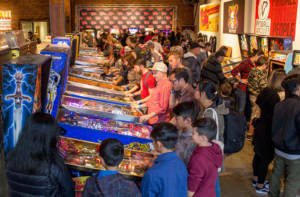 Hundreds of visitors attend our three-day expo in Downtown Vancouver with over 100 pinball & arcade machines set to free play, guest speakers, vendors and tournaments for all ages and skills. 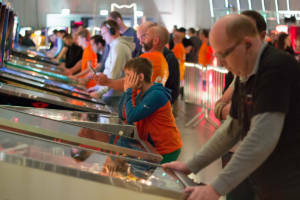 After a year away, the Belgian Open Pinball (BOP) returns to ‘t Bau-huis in Sint-Niklaas. The usual mix of Open, Classic and side tournaments is expected, but check the website for more details. Pinball machines, video games, jukeboxes, slot machines, etc. One price admission to play games all day, no quarters required! Pinball and Gameroom items on sale. Kids and adults pinball machine tournaments. This annual event has long been supported by pinball enthusiasts from all over Northern California and helps local youth charities. Many people bring their pinball machines to share, the organizers and volunteers are not paid to put on the show, we spread pinball joy and everyone benefits! Rome is the gaming capital again with Enada. The 47th edition of Sapar’s International Amusement & Gaming Machine Show, organized by IEG – Italian Exhibition Group, will be held at Fiera di Roma from the 15th to the 17th October 2019. 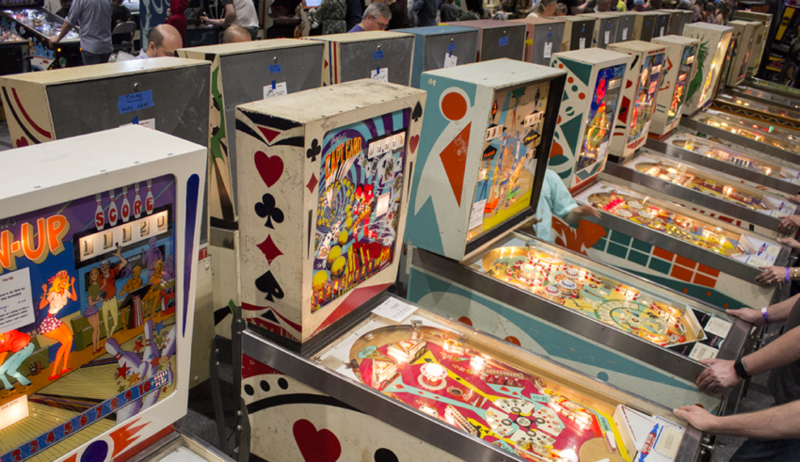 Pinball Expo returns to the Westin Chicago North Shore for the 35th anniversary in 2019, including the Stern Pinball factory tour, seminars, tournaments, vendors, large games rooms, exhibits and much more. Note: Normally only the tournaments continue into Sunday. 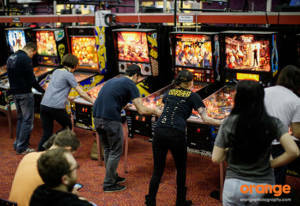 Pinball Expo vendor, games and seminar halls are all expected to close Saturday night. The public is cordially invited to attend the largest antique show of its kind! Curious about what the Chicagoland Show has in store for you? Check out our ticketing options, and join us at this one-of-a-kind event! There will be tournaments, events, music and workshops to keep the young and young-at-heart entertained. 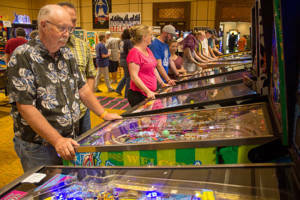 Greater Cincinnati’s first annual pinball show featuring over 100 machines from local collections. All machines will be set for free play, so leave your quarters at home. 2018’s show and tournament will occur at the Holiday Inn Hotel of Eastgate. Machines from the ’70s through the present will be well represented. Several machines will be available for purchase with contact and pricing listed on these machines. Tickets will be limited to avoid overcrowding. Buy early to guarantee your spot. If the show does not sell out in advance, tickets will be sold at the door. If tickets do sell out prior to the show, the website will be updated to reflect such. Free entry for children 12 and under (1 per paying adult). IFPA approved tournaments will be held Friday and Saturday, with a gauntlet style tournament Sunday. 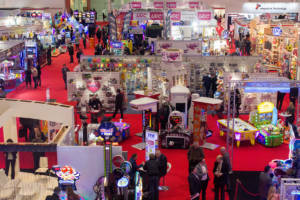 The annual UK amusement and coin-op trade show is back at ExCel London in the Docklands area of the capital. 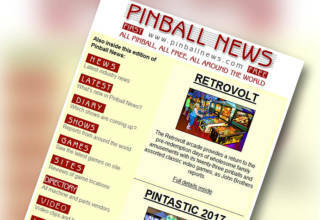 Often a launchpad for various companies’ new releases, expect a presence from Stern Pinball on the Electrocoin stand, Jersey Jack and Chicago Gaming on the Pinball Heaven stand, and some surprise pinball-related products. Play all the games you want with admission. Interested in honing your pinball play and improving gaming skills? Want the industry low-down and to be an insider on innovations? We have that covered. Take a break from playing to join meetups and seminars hosted by industry insiders and celebrity guests – designers, modders, programmers, artists, and entrepreneurs galore. Note: Same location and Memorial Day weekend dates as last year. 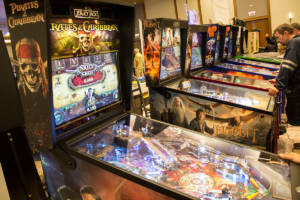 The Pintastic New England Pinball and Game Room Expo announced that its sixth-year event in 2020 will take place at the Regency Hotel in Boxborough, MA. The Pintastic show has free play rooms, tournaments, seminars, a vendor hall with commercial booths, an auction, entertainment for kids, and an outdoor flea market for casual sellers. All will be accommodated in the Boxborough facility, which will undergo a substantial renovation between now and showtime in June 2020.